Save mankind from aliens in this non-stop, action filled FPS within a single-player campaign, online multi-player modes for up to 12 players, including co-op, and split-screen offline multiplayer mode and competitive and co-operative for up to four players. 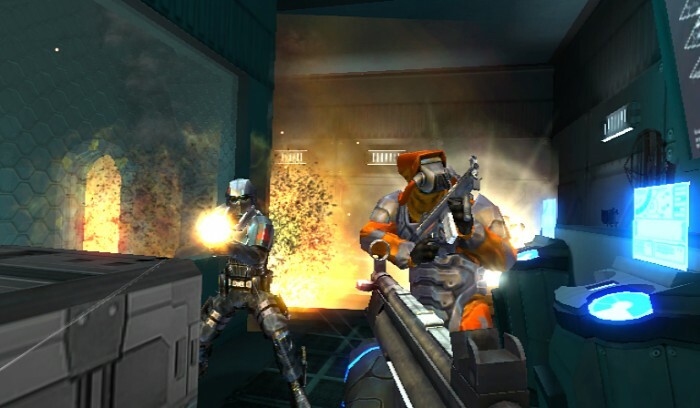 Players may think the man in the metal suit evokes so many other sci-fi action games, but The Conduit 2 provides a unique experience for FPS lovers on the Wii system. The conduit refer to the special portal where enemy aliens pour through then unleash havoc on Earth with antagonist John Adams pulling some strings and causing problems for the hero lead character Michael Ford. Prometheus also returns along with a female character Andromeda who has a history with Prometheus. Given Prometheus’ current state the banter among the three creates entertainment and interest even among players who did not experience the first Conduit installment. Prometheus’ dialogue also helps during the boss fights. Players can equal these admirable, self-sacrificing characters with great control schemes and customization options. Choose among the basic remote and nunchuk combination, the Wii Motion Plus controller and nunchuk, or classic controller. This game also allows three profiles so more players in the household can get in on the fun. Expect a high coordination level throughout the challenging levels. Shotguns, pistols, rocket launchers, and futuristic energy based pack the punch while melee moves help when out of ammunition – just thrust of the remote like a sword. The hive is an ideal heavy weapon that fires explosive insects then players attach a secondary lure for the big bang – ideal for the small bug-like creatures that swarm. One of the big “game changers” that can sway the odds towards the protagonists’ side are the grenades, which, like the first installment, involve users flicking the nunchuk to throw the grenades (different on the classic controller). Grenades have a nice bounce thanks to some realistic physics and a white visual trial so you can see where they land and adjust your throws accordingly. Fragmentation grenades do the job; radiation grenades stick to the target, and flash grenades blowup on impact. The central tool is the special “All Seeing Eye” (ASE) device that defuses mines, hacks computers, reveals special objects and helps you solve puzzles while providing short burst breaks among the intense action. The in-game store let players spend their hard-earned currency – just press the plus button any time except when in the single player campaign mode. Just play through the main game or fight online to accrue currency for weapons, armor, damage resistance and ammo increasers. The plentiful achievement awards, bonus content, unlockables and statistics add incentive-based motivation on all player levels. The online multiplayer mode works seamlessly in friend codes, regional or worldwide venues. Up to 16 people can play together, but since there is no voice chat or Wii speak, developers offer the compatible head banger headset to reach out and taunt someone. The optional Wii Speak peripheral, which provides “speaker phone” voice chat for an entire room, will be an option on High Voltage’s new game The Grinder. Players can quickly jump into battles then vote on the rules, available weapons and map selection. The rules include free for all, team reaper or team objective, which center on the ASE. The ‘free for all’ has a bounty hunter mode where you hunt a specific target and get penalized for killing innocents, so pay attention to your group’s name. One of the team goals in the online mode is grabbing the AFC and used it as a basketball and throw it into the enemy’s team goal to score points. 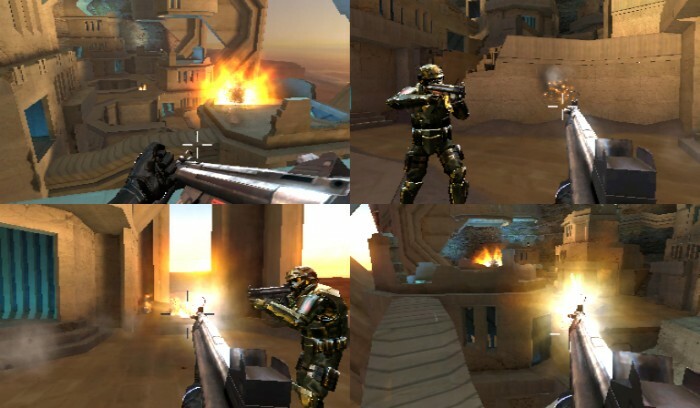 Players fight for control points as well which have an enemy, neutral or friendly status. The locales are fresh and engaging, but sometimes players may feel they are waiting to get into the great wide open. The smooth navigation and level design do not create hang-ups while voice messages and clear audio coincide with the text at the bottom of the screen. 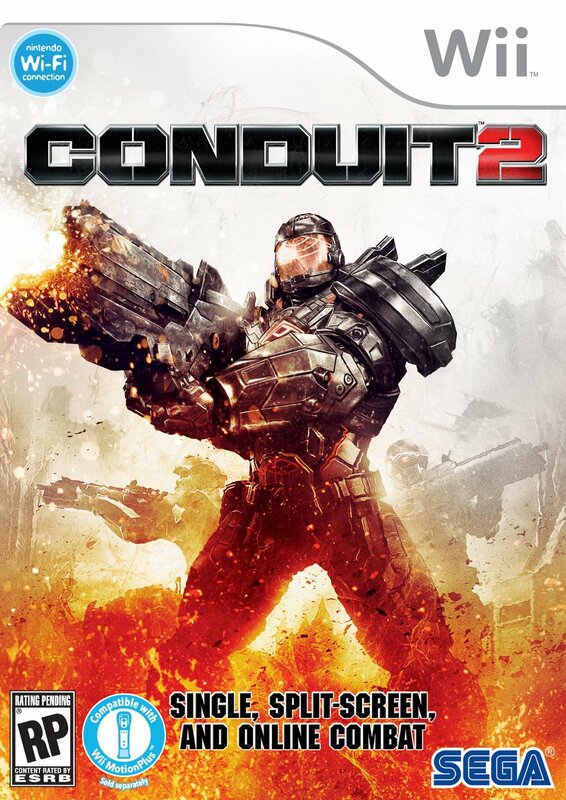 The Conduit 2 has more customization than most shooting games, so players can find their own comfort zone. A very complete experience with a high replay value, strong customization options and loads of action. This installment improves from the first game and is a worthy addition to the Wii library (*** out of four stars) – worth playing for its visuals alone. Maybe developers will take players back to Washington, DC in a future installment (no announcements yet). This entry was posted in Video Game Reviews and tagged Conduit, Conduit 2, Michael Siebenaler, Mike Siebenaler, Tall Writer, video games. Bookmark the permalink.